Heat all ingredients except pasta in 4-quart Dutch oven. Stir in pasta. Heat to boiling, stirring occasionally; reduce heat. Simmer uncovered 10 to 15 minutes, stirring occasionally, until pasta and vegetables are tender. Discard bay leaf. Italian for “twins,” gemelli are 1 1/2-inch pasta twists that look like two strands of spaghetti twisted together. Leftover turkey in your refrigerator? 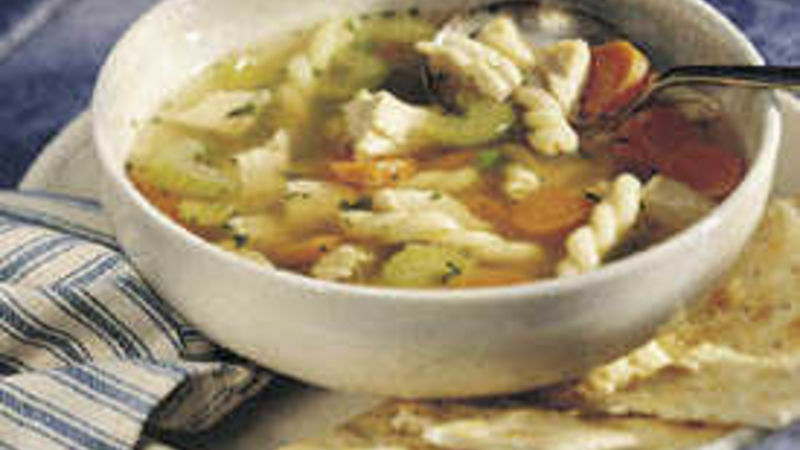 Make Quick Turkey Soup!